FEATURES/SPECS Do you love your dentist? Is he or she gentle and keeps your cleanings and fillings as pain-free as possible? 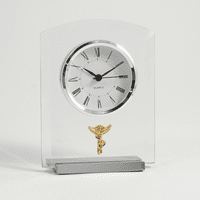 Thank them for their hard work and kind service with this dentist theme desk clock made just for them. 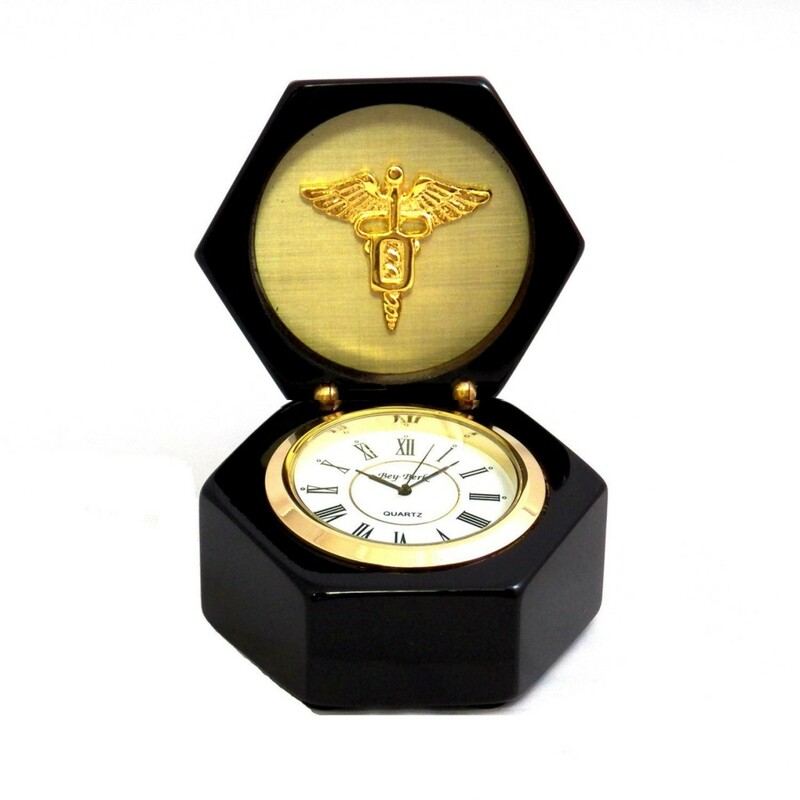 Its made of solid black wood and holds a quartz clock, chest style, underneath its lid. 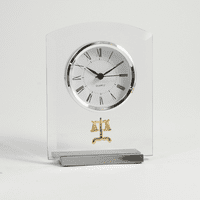 The clock has a large white dial with black markings and rotates for easy viewing. Underneath the lid is a brass plate with the dentists emblem. 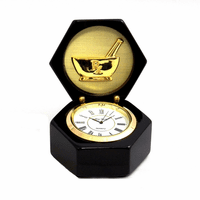 Your dentist will think of you and your appreciation every time they look at this handsome timepiece. 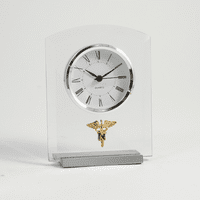 Dimensions: 3.15" x 2.75" x 2"